Your local Fort Worth, Keller, Arlington, and Burleson dentist committed to saving lives by providing treatment for sleep apnea. Dr. Sheila Birth is a member of the American Academy of Dental Sleep Medicine (AADSM) and has had extensive training in being able to treat snoring and sleep apnea with Oral Appliance Therapy. Drowsy during the day? Excessive daytime sleepiness, snoring, gasping during sleep, morning headaches, night sweats are signs of obstructive sleep apnea. 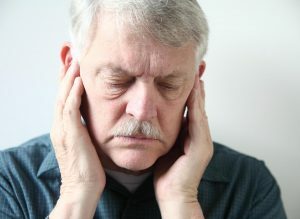 Why are anti-snoring mouthpieces risky? Mouthpieces can cause tooth movement, TMJ and bruxism. They can also stop snoring without treating sleep apnea. CPAP (continuous positive air pressure applied through a nasal mask) is the most common and standard form of treatment of obstructive sleep apnea (OSA). The CPAP machine consists of a face or nasal mask that is connected to a pump, providing a positive flow of air into the nasal passages in order to keep the airway open. This pressure ensures that the airway doesn’t collapse during sleep. CPAP is recommended as the first line of treatment for patients with severe obstructive sleep apnea. Patients with mild-to-moderate sleep apnea can usually choose which therapy they would prefer. Many people’s first attempt at addressing health issues is to see if lifestyle adjustments will improve their condition. Snoring can sometimes be improved by losing weight, limiting smoking and alcohol intake, or avoiding sedatives. In some patients, snoring and obstructive sleep apnea are related to sleeping on one’s back. In these instances, improvements can be seen by sleeping on the side rather than the back.